Some believe there are sixteen, others report there are nine, but most agree that there are seven main chakras. They exist where the seven types of tissue converge. Each is associated with a gland and section of the spine that run along our centers, both on the front and back sides of our bodies. - The Root Chakra is red and governs stability, abundance and family. It is located at the tailbone, and is associated with the sacrum or pelvis. 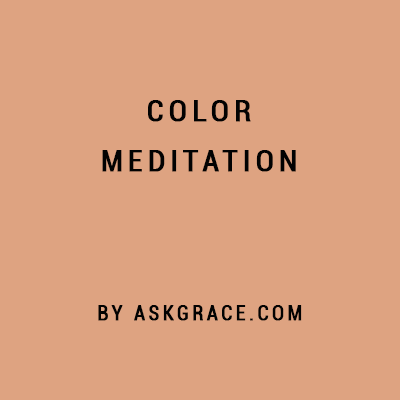 - The Sacral Chakra is orange and rules creativity, children and sensuality. It is located approximately 2 inches below the navel, and is associated with the reproductive system and sacrum. - The Solar Plexus Chakra is yellow and assists with confidence, discernment and instinct. It is located just below where the bottom of your ribs meet, at the base of the sternum. - The Heart Chakra is green (sometimes pink) and promotes compassion, Love and healing. It is located in the center of the chest, a few inches above your heart. It is connected with the thymus gland. - The Throat Chakra is blue and helps communication with guides, actualizing purpose and connections. It is located in your throat and is associated with the thyroid. - The Third Eye Chakra is indigo and governs ascension, non-judgement and intuition. It is located just above the center of your brows, and is associated with the Pineal gland. - The Crown Chakra is violet and rules wisdom, expansion and unity. It is located at the top of your head, and is associated with the pituitary gland. Chakras are like plates with a hole in the middle which the central channel (or Sushumna) runs through. The chakra system functions best when the chakras are of similar size. Variance in size can cause imbalance in health or emotion. 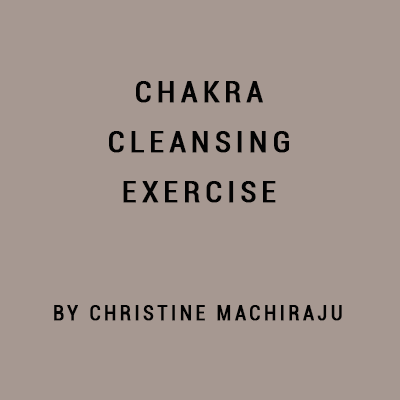 The chakras generally energetically rotate clockwise. It’s normal for them to move counter-clockwise at different times during the day. If a one chronically rotates backwards it can often be corrected by holding a pendulum over it. Pendulums can also be used to gauge the size, direction and/or rotation (more on pendulums soon). Holding kyanite will also help bring the chakras’ size and rotation into balance. Chakras can be cleansed with singing bowls to help release trauma, stuck emotions or heaviness in the centers. Chanting the mantras associated with each, out loud, three times helps to balance each chakra (instructions below). One can also listen to sound frequencies or binaural beats for optimum health. Each is associated with plants, flowers, oils, stones, colors, (to name a few) that can be incorporated into your work with each chakra. Chakras may also contain energetic residue from past life selves and ancestors. Each is also associated with a realm, and contains beings that may be guides or antagonists to us. - Best Friend/Yoga Genius Rachel Grant Jackson. sign up the newsletter and I’ll tell you all my secrets! We have deep respect for your privacy! TheSuggested.Love is ultimately a gift in service, requiring nothing in return. We earn a small percentage of certain items featured through the Amazon Affiliate Program… Not yet enough to cover the site’s costs. If you have been served/inspired/healed in any way by its content/suggestions, I ask that you consider making a contribution. Your donation will serve the site’s expansion and The Universal Law of Energy Exchange. COPYRIGHT © 2018 Starseed, LLC.